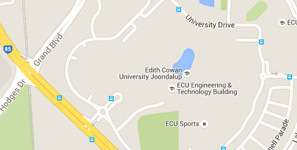 The ECU Science Analytical Facility. Established in 2016, the ECU Science Analytical Facility’s mission is to support fundamental and applied research and education within ECU and to provide specialised analytical services to industry and the community. The University’s commitment to this facility, and hence high quality research outputs, is evidenced by the acquisition of several quality instruments and new technologies. Furthermore, a strategic alliance between the School of Science and Thermo-Fisher Scientific Australia has resulted in the establishment of a proof of concept analytical facility at the ECU Joondalup Campus, the first of its kind in Western Australia, aimed at supporting and promoting collaboration across the science community in WA. This alliance has resulted in significant improvements in the analytical capacity and expertise of the existing Science Analytical Facility, providing researchers and industry partners with access to cutting edge equipment, amongst the best in Western Australia. The Facility can routinely analyse for targeted and untargeted polar and non-polar organic molecules (e.g., metabolites, pharmaceuticals and active ingredients, degradation by-products, amino acids, short chain fatty acids, sugars among others), as well as trace elements (metals and heavy metals), inorganic ions (i.e., anions and cations), nutrients and physical-chemical bulk parameters (e.g., TOC, NPOC, TC, TN, TP, sulphate, chloride, NH4-N, NOx, NO2-N, NO3-N, PO4-P) and stable isotopes (carbon, nitrogen, hydrogen, oxygen) in a range of complex matrices across several multidisciplinary areas of research.